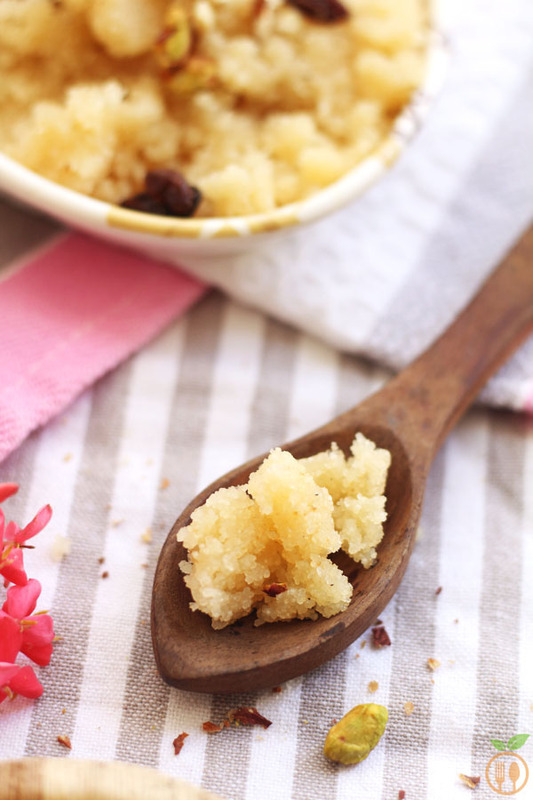 In Gujarati family, when anyone buy a new house or something new like furniture, vehicles or some small happy time, Suji halwa is surly included into their special lunch menus. 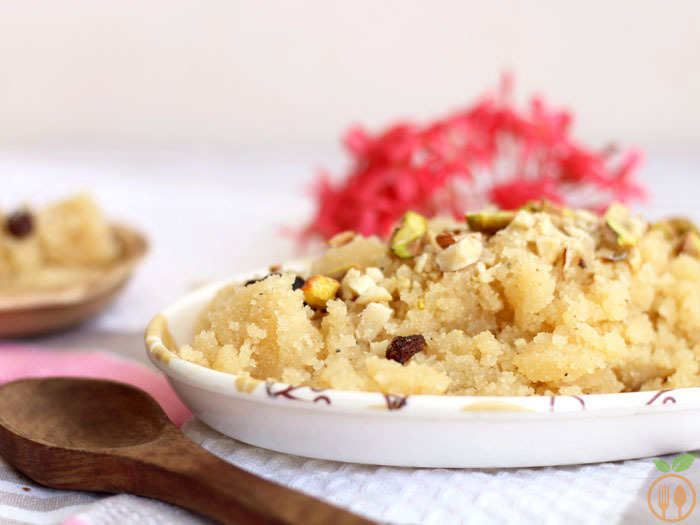 Rava sheera is also known as maha prasad special pooja called “Satyanarayan Katha.” On that occasion Suji Halwa is made with milk only without water option. 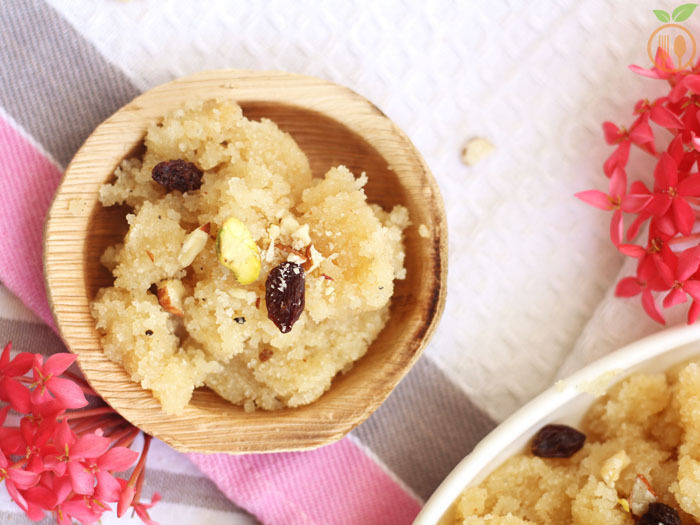 When you invite some special guest at home for lunch or dinner, or sometime you have some special uninvited guest, we have one tradition that “Feed you guest with some sweets or Dessert.” In those kind of situations, every women have first choice of dessert is their mind is suji halwa or rava sheera. When my relatives come for visit, I always make this recipe and they love rava sheera from my kitchen. Even this is my favorite halwa among all other halwa or even sweets recipes. Please Read Avoid Mistakes at First Attempt section, if you are trying suji halwa for the first time. 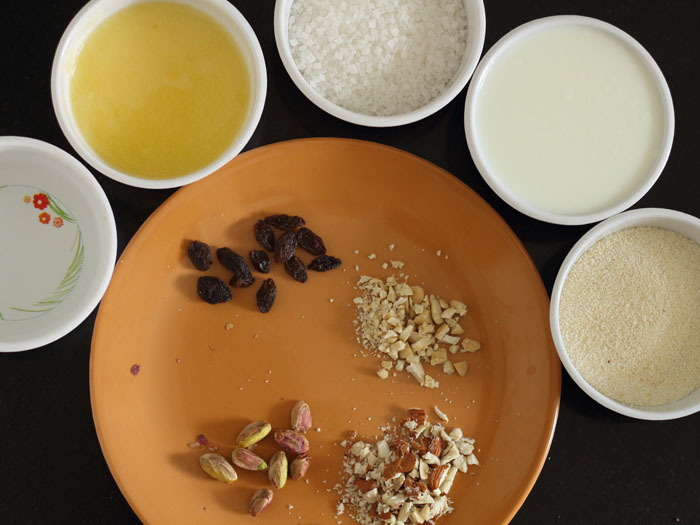 OR you find any difficulties, some tips will defiantly help to improve halwa recipe. Start with measuring all ingredients as given in recipe card. Then roasting suji into ghee until it turn little brown. mean while in another gas, heat the milk and/or water. You can see the colour difference in below image. You need to roast the suji for 4-5 minutes. Then add warm milk and very carefully, and cook the sheera until all milk will be absorbed by suji and you will get pudding like texture. finally add sugar, sugar will generate some more water, cook it until ghee is separated form pudding. swtich of the flame, and then add cardamom powder. To get best result, be precise with measurement of all three ingredients. if you are using water only for cooking this halwa, you get different taste and colour. I suggest use whole 1 cup sugar for recipe. If you are using only milk for this recipe then you will get more richness in halwa and good colour. you can reduce some sugar in this combo as milk has it’s own sweetness which make sheera more tasty. 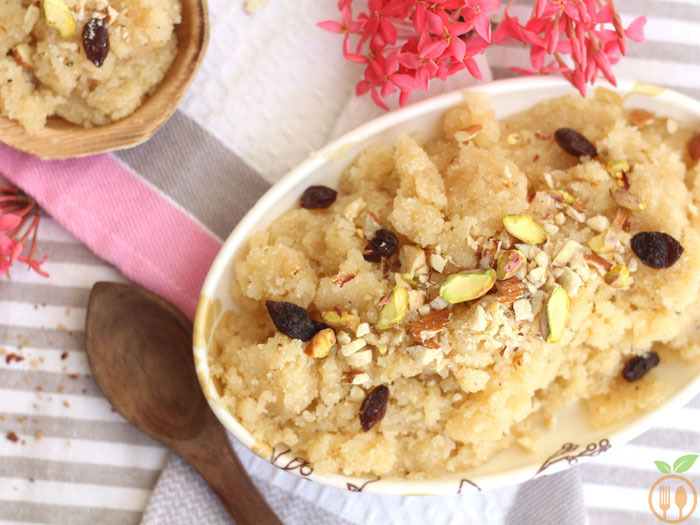 Suji Halwa is very popular Indian Dessert which also known as Semolina pudding. 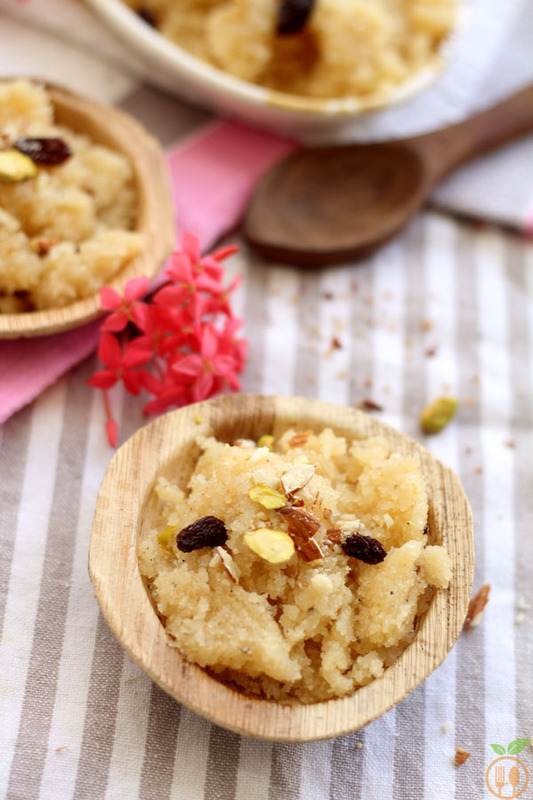 It can make with just 3 basic ingredients like semolina, ghee and milk/water. Take a kadai or pan on medium flame. 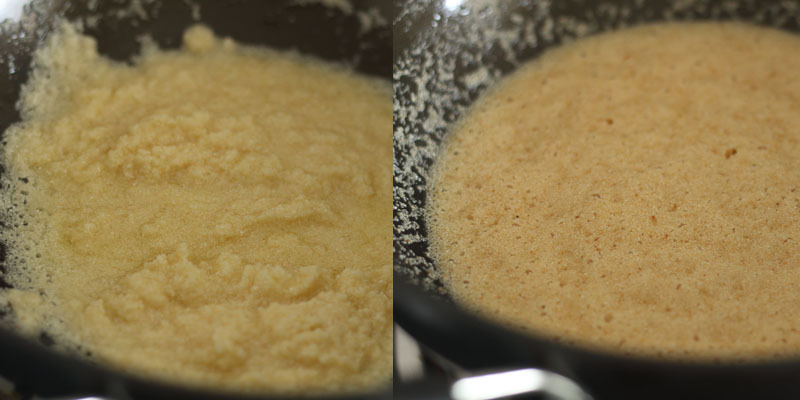 Add the ghee, once it is in liquid form, add semolina. Meanwhile heat water and milk mixture into some pan and heat it just for 2 minutes. You need to use warm milk or water. Do not use cold water or milk for halwa recipe. Roast semolina on medium heat until it turns slightly red color. Stir continuously while cooking it. 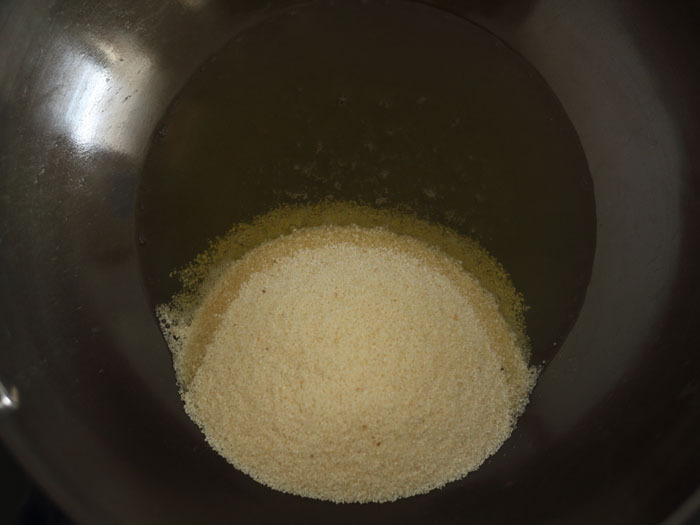 This is very important that you roast semolina completely; It may take 5-7 minutes. Now, turn on flame at very low, start adding hot milk into roasted semolina very carefully. Keep staring while adding it. 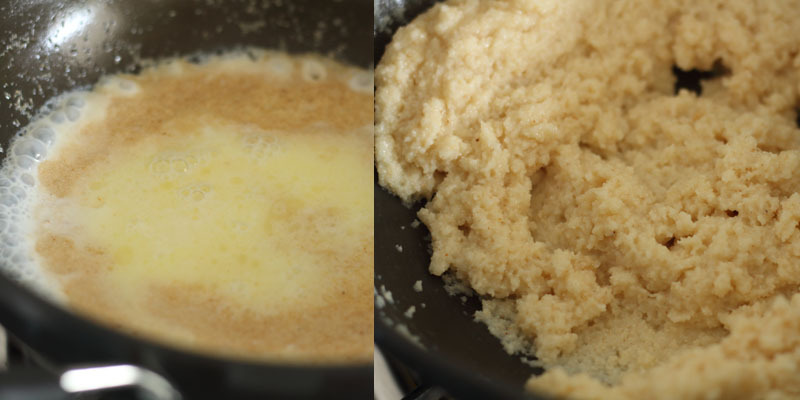 At law flame, cook semolina in milk, let sock all milk by semolina to have pudding like texture. 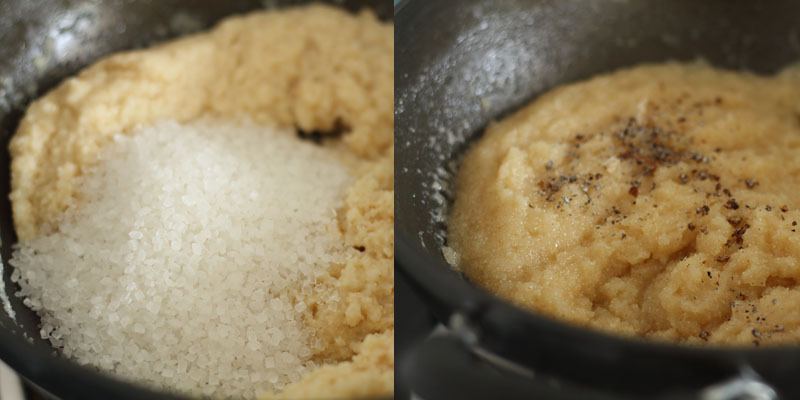 Then add sugar, and cook till all sugar get melted and absorb all sugar into semolina. Once it is cooked it will start to release ghee and your pudding is ready to serve. Add all nuts at this stage. Switch off the flame, add cardamom powder and give a nice stir. Your semolina pudding is ready. 1) You can serve it with poori and potato curry. 2) This is good breakfast for toddler also. 2) You can store it in air-tight container for 5-7 day into refrigerator. When you want to eat, just do micro for 3-4 minutes. And your hot semolina pudding is again ready to serve.